Distrito Salvaje is a 60 minute scripted drama television series, which kicked off on October 19, 2018, on Netflix and is broadcast every at . The show is currently in its 1st season. 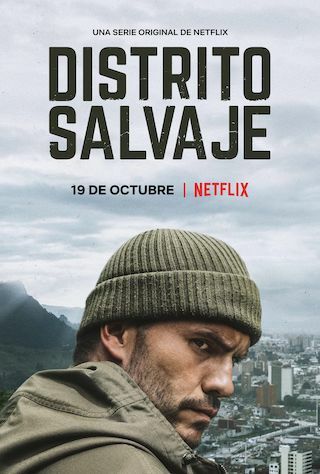 Netflix is yet to announce the renewal of Distrito Salvaje for Season 2 as well as its cancelation. Sign up to track down the show's status and its release date. Distrito Salvaje follows Jhon Jeiver, a lethal guerrilla fighter who escapes the jungle after the signing of the Colombian Peace Agreements. He arrives in Bogotá escaping from his past, and tries to reinsert himself in society while looking to reconnect with his long lost family. But he soon finds himself wrapped in a web of crime and corruption, struggling to understand the ways of the concrete jungle, protect his family from his past, and faced with the moral dilemma of choosing what side of the law he wants to be on.